Start preparing those flapjack stacks—Lent is fast approaching! 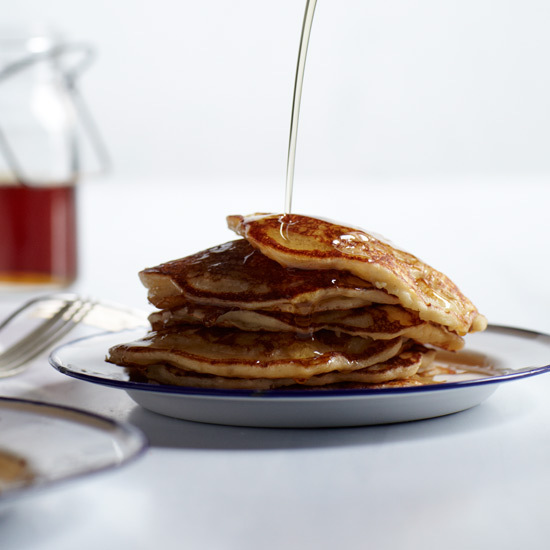 Here, five perfect pancake recipes for your Shrove Tuesday feast. These light, fluffy pancakes are full of corn flavor from the masa harina. This simple eggy pancake with a crisp edge rises in the skillet like an oversize popover. To create these pancakes, chefs Daniel Patterson and René Redzepi started with a standard cornmeal pancake recipe and added rice flour to lighten them. Brown butter studded with fresh lemon and sage is served alongside.